This class meets Monday-Friday from 4:00-6:00 pm and Saturday from 1:30-3:30 pm at Leftwich and Wolbrecht. Please purchase one package per child. There is a 50% sibling discount that applies to the second (third, etc.) package. Please contact Tracy Pope for the code (if applicable). Her email is tpope@tennismemphis.org. Competitive Training meets Monday-Friday from 4:00-6:00 pm at Leftwich and Wolbrecht Tennis Centers and on the weekends at Eldon Roark. Non-Traditional Scheduling meets 7 days per week, please see the registration form for more details. Please choose a package. Payment is due upon enrollment in the program. Note: Competitive Training students may need to purchase a weekday AND a weekend package. A 50% Sibling Discount is available. Contact Tracy Pope for the code (if applicable).  Her email address is tpope@tennismemphis.org. You may also download a registration form for Skill Acquistion and return it with your payment at the center. You may also download a registration form for Competitive Training/NTS and return it with your payment at the center.